I bought a large mirror at the Goodwill about a year ago. (Sorry about the bad photo quality...I really need a new camera) It was such a great deal, $49.99 and then marked down 40%. It was gold and I had always planned on painting it. Finally last weekend I decided to attempt it and hope that it wouldn't end up in the garbage. As I was taking it apart I saw some very faint printing on the back "Made in Italy." At that point I was ready to leave it as is. 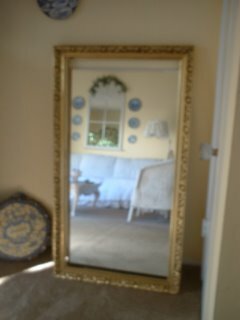 I love this mirror but I never realized it was from Europe...I thought maybe Japan or China. It has a whole different meaning to me know that I know it's from Italy. I was torn about what to do and I finally decided that I wanted an antiqued white mirror. Here is the before picture...the mirror is already out of the frame when I realized I forgot to take a picture so I leaned the frame up to the mirror. 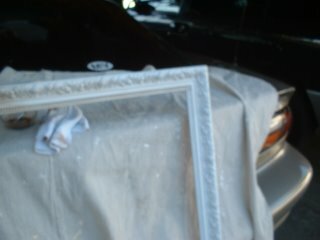 I first primed it with a primer spray paint and then painted the whole thing with white spray paint. 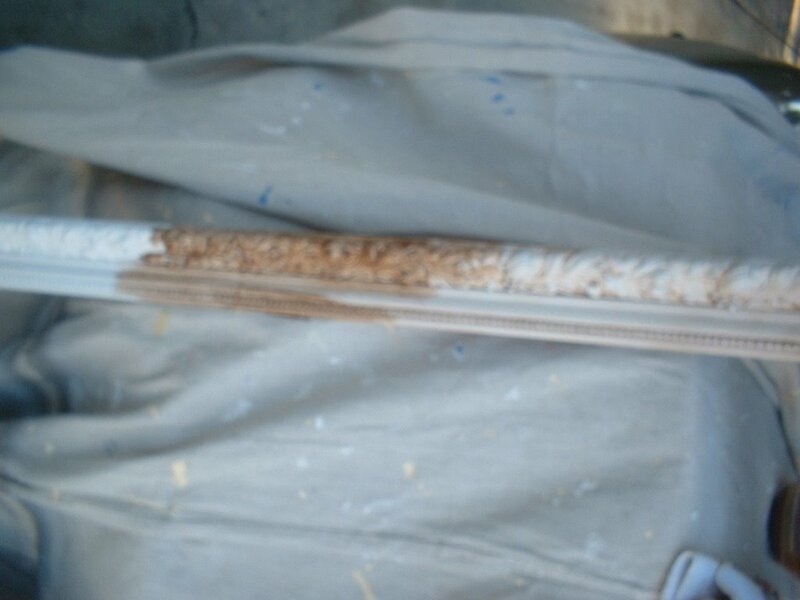 I then mixed some brown craft paint with a little water and used an artist brush to put the brown wash over a small section and then wiped that down which left the "antiquing" in the crevices. I'm fairly happy with how it turned out but I wish I wouldn't have used a flat white. I think it needs a little more sheen to it. I'm going to try to rub a little wax over it to see if that helps. I still need to take a good "after" photo. I'll post that soon. I think it looks lovely and I can't wait to see the finished product. I have a mirror here I wouldn't mind trying your technique on. 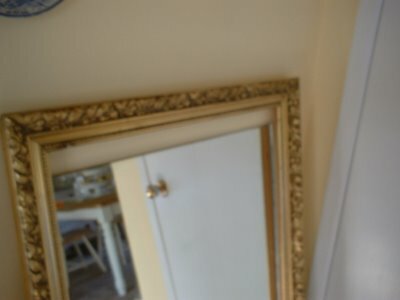 I'm going to paint a huge, huge, mirror I bought years ago. Its extreamly ornate. I dont think Im going prime it first, but since you mentioned you did, maybe I should. .After all you are my decorating guru for sure!! I almost cry when you dont do a daily post. ha!